A coffeehouse in Vienna is a place to spend time, to meet and to enjoy. The traditional ambience of the Hotel Imperial invites to relive history, evoking the esprit of many a famous guest. 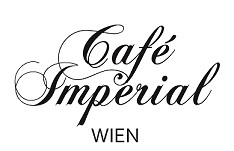 For the Viennese, a coffeehouse is like a second home outside of one’s own home. Therefore, it has become a tradition for local folks to eat, drink, read, convene or work at one’s favorite coffeehouse in Vienna, preferably at one’s regular seat. After a lavish buffet breakfast between 7:00 a.m. and 11:00 a.m., guests can enjoy delicious Viennese specialties and tidbits together with popular coffee variations such as Wiener Melange (coffee & milk blend), Pharisäer (the Austrian-style Irish Coffee) or Maria Theresia (black coffee with orange liqueur and whipped cream) as well as the home-made Imperial Torte until 11:00 p.m. At Café Imperial Wien the guest is king. Individual wishes are fulfilled any time and always with great pleasure.